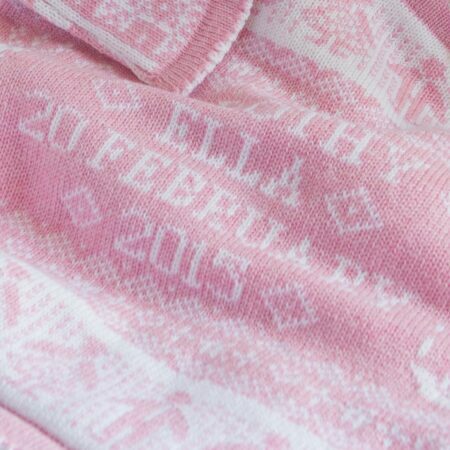 Introducing something new: personalised cashmere baby comforters! These beautiful baby comforters are a first for Charlotte. Knitted in the same soft and luxurious cashmere as the cashmere baby blankets, they are the perfect size for baby to hold. Soft and tactile, they are sure to become a treasured keepsake. 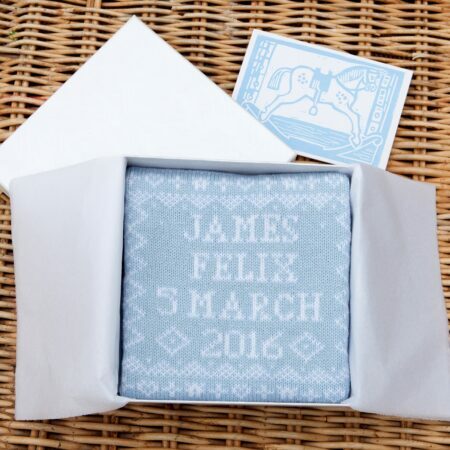 The cashmere baby comforters are knitted to order, with baby’s names (a maximum of two names) and date of birth. Each one is unique and they would make a very special gift for a new baby. These cashmere baby comforters are available in two designs. The KEW cashmere baby comforter features rows of people on the front and a star pattern on the reverse. The RICHMOND cashmere baby comforter features rows of rabbits and building blocks, with a geometric pattern on the reverse. Both the Kew and the Richmond comforters are available in soft pink & white and powder blue & white. 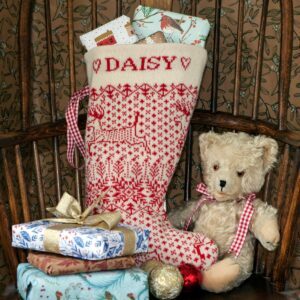 Each one is made in Charlotte’s Norfolk studio and beautifully finished with picot edging. 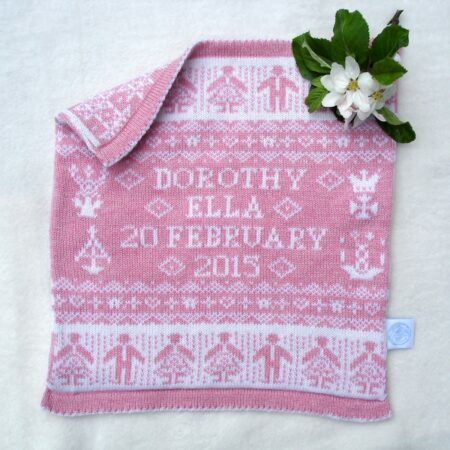 The cashmere is the same luxurious cashmere Charlotte uses to knit her personalised cashmere baby blankets. It is sourced from a family-run mill in Yorkshire, where they have been expertly spinning yarn for over 200 years. The cashmere is of very good quality and gets even softer and plumper when washed (we know because we’ve done this!). 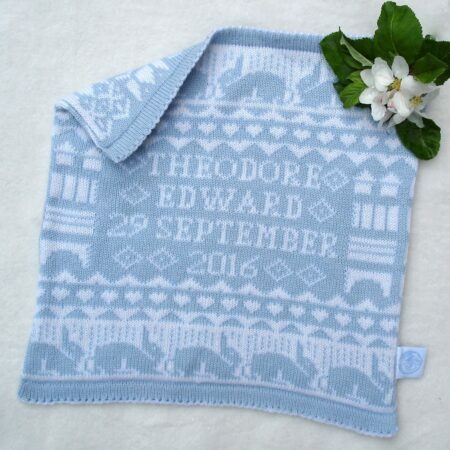 You can find Charlotte’s full range of cashmere baby gifts on her website here. The cashmere baby comforters arrive packaged in a gift box, ready to give – whether to celebrate the arrival of a new baby or as a Christening gift or naming day present.